Fabric is one of the most versatile elements in any home and it is also one of the easiest things to change each season to create a whole new mood. So when the sun begins to shine and the trees come into bud, decorating with nature-inspired colours, patterns, and materials suddenly seems quite tempting. Leading interior design house Neptune has tapped into these instincts and come up with some tips on how summer fabrics can give your home a fresh new look. Combining different fabrics is key to creating a room with warmth and spirit according to Neptune. They recommend being brave and pairing linen with velvet, florals with stripes, and patterns with plains. Just a few metres of fabric combined with a little inspiration can work wonders when it comes to bringing a little summer freshness to a room. As the largest pieces in a room, sofas, armchairs, and beds inevitably make a big impact. So it is important to choose upholstery fabric that you really love and that co-ordinates with your other soft furnishings. Think about transforming a tired dining chair with a new slip cover, or treating an antique armchair to some new upholstery. To brighten up a bedroom why not try a patterned headboard. It is an original way to add decoration and you can style it up or down with your choice of bedding. 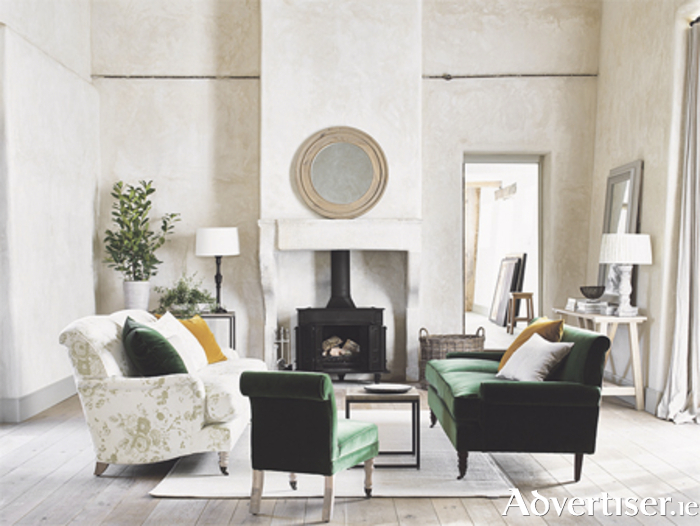 In the living room, teaming a plain velvet sofa with a pair of printed linen armchairs is a contrast that works beautifully. If you are fortunate enough to have a wide window ledge in any of your rooms, it is a gift not to be overlooked. Consider having a large cushion made to fit the ledge and adding a few smaller cushions - then just sit back and enjoy the view!